How is everyone doing? The weather here is nice today. I didn't even wear a jacket on the way to work. And it smells like spring. I love it. Of course the weather here is crazy and we might get snow next week. I guess that's how it is in Raleigh. Tonight Dave is flying down to Sarasota for the Ultimate Frisbee Team USA tryouts. I'm nervous for him. It's going to be a very tough weekend. (Check out Tired of Red, Go Team USA.) Keep him in your prayers! This morning I've really been thinking hard about something. I know that Jesus says we are supposed to turn the other cheek when treated wrongly (Matthew 5:39), and I try very hard to do this. However, I've found that it is much easier for me when it's someone I think is a nonbeliever versus someone who claims to be a fellow Christian. When it is someone I think is a nonbeliever, although sometimes tough, most times I am able to extend grace and continue to show kindness. When it is a fellow Christian, however, I get heated very quickly. I have to fight tendencies to want to put that person in his place and tell him how unlovingly he just acted. And then I get caught between the fact that God calls us to correct one another (Galatians 6:1) and the fact that sometimes it's just better to keep my mouth shut, extend grace and forgiveness, and let God deal with that person. And also, even if I were to correct that person, I should be doing it out of love for him and God, not out of anger or defensiveness. Then there's the issue that I also don't want to be a doormat...I want to stand for God's truth and encourage it. And then at the same time, who am I to get angry with someone for treating me wrongly? I am just as much a sinner as any other person. I get attitudes too. So when should I speak up and when should I let the situation float by? I found an article on this topic which I really liked: When should a Christian try to correct another Christian? I'm going to have to read it a couple more times and think about this. And of course there is prayer, which should be the foundation behind every decision I make (although, I hate to admit, isn't often enough). So what does everyone else think? Do you face this in your own life? How have you dealt with it? I'm very interested in everyone's thoughts. Alright, on to the weekly trivia. True or False: Animals have to answer to God, too. "And for your lifeblood I will surely demand an accounting. I will demand an accounting from every animal. for the life of his fellow man." 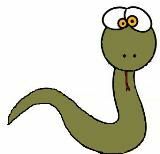 True or False: When Moses threw his staff on the ground and it turned into a snake, he ran away from it. OK I guess that's all for now. Be sure to share your thoughts! Kara, I know how you feel. It is easier to turn the other cheek to an unbeliever sometimes. 3. Does it glorify God? Oh, and true...I think, that Moses ran from the snake. Thank you for a thought provoking posting. Good luck to your husband, sounds like fun. Thanks for stopping by my post. I'm facing a smilar dilemma in my church right now....it's very difficult especially when you have to work beside one another in ministry. I'm struggling with my feelings now too so I wouldn't be much good to you on what to do. I hope your husband does well. Nice to meet you for 'coffee'. I find it tougher to forgive a christian brother/sister also. But then I redirect my thoughts and remember how much God has to continually forgive me, many times for the same sins over and over. God bless! I understand what you are saying. I'll have to read the link but Melody is up from her nap. It's something I struggle with too. Good luck to your Hubby on the tryouts. I couldn't get the link for that to work though. Sorry for the late coffee. Am am studying 2nd Corinthians with my Bible study. Today we spent a lot of time covering forgiveness. Yes, you've got me thinking about your question too. The flight simulator was a bust. I think it's because they were having issues with the air conditioning. Oh well, the boys had fun looking at aircraft. Hi Kara, I can really relate to your post. This past week I was pretty offended by a believer at church. I'm still pretty new to my church and when I asked about the bible study book, she was rather blunt with me, as if I was wasting her time. I walked away asking myself the same questions. Do I just let it go? Should I say something? She's a leader in Women's Minsitry, so what if she had treated a baby Christian that way? I have been praying about it all week so thank you for bringing it up in your post. I am really benefitting from what other Company Girls have to say on the topic. I like what the Company Girls had to say...great advice! I find that giving myself time to "cool off" and think about it really helps me decide if it's worth confronting. Will what I say change this person's behavior/mind? Do I just want to make my own point or is it the Holy Spirit prompting me? But I do believe there is a time and place to confront and it should be in as humble a way as possible. Not easy, esp when something really chaps you! I'm going to say Moses ran from the snake! Didnt' Aaron pick it up?? Now I'm showing my forgetfulness!